Ecublens, Switzerland: – Dec Group, will use the forthcoming INTERPHEX 2015 expo in New York to showcase latest additions to its proprietary PTS technology, which plays a leading role in reducing accidents and spillages in the pharmaceuticals and fine chemicals industries. “Charging reactors with hazardous bulk materials is still a major cause of accidents,” says Gabriela Mikhaiel in charge of the Dec Group Marketing. “We aim to show at INTERPHEX how these risks can be avoided by using our patented conveying Powder Transfer System (PTS) to transfer powder in dense-phase (plug flow) at low velocityto avoid electrostatic discharges within the product,” she explained. “PTS uses only conductive, grounded components to eliminate any possible ignition sources and keeps the reactor inert by separating the air from the powder,” Ms. Mikhaiel added. In addition to reactor charging, the PTS can be used in combination with various other powder handling equipment and can form an upgrade to any filling, discharging, blending or dosing process by ensuring high containment while boosting production and improved risk management. 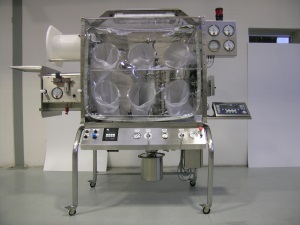 This is Dec’s first INTERPHEX appearance since it was appointed exclusive North American representative for MAVAG’s Swiss-made high quality filtration, drying and agitation equipment. Dec is also North American agent for LUGAIA packaging and transfer solutions. 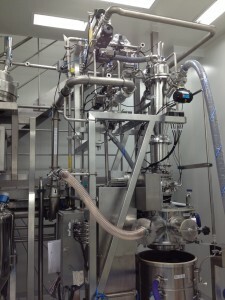 In particular, the Dec stand at Booth 1025 at New York’s Javits Center, will be demonstrating a MAVAG filter dryer and LUGAIA’s new and smart transfer bag solution for small product quantities along with its own DCS Drum Containment System for contained drum discharging and CLS Continuous Liner System for safely packing powder into bags. The Dec team can further present innovative solutions for accurate automated transfer, dosing and packaging of powders and granules into bags, how to blend powders homogeneously while remaining under very high containment and with easy Clean In Place (CIP) possibilities. “We are very happy to be returning to INTERPHEX once again,” said Gabriela Mikhaiel. “This promises to be a good show for us, with much that is new and exciting to show and talk about,” she said. 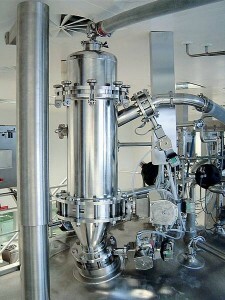 “More than ever, we can demonstrate our capabilities as a global supplier of complete powder handling solutions to the pharma and other industries, along with expertise and technologies to meet customers’ bulk handling, conveying, particle size reduction, reactor charging, powder dosing and sampling, isolation technologies and process containment needs,” she added. America’s INTERPHEX (International Pharmaceutical Expo) is now one of the world’s leading single source events for biopharmaceutical and pharmaceutical manufacturing and processing solutions and technologies. The Expo showcases equipment, accessories and technologies while offering networking and peer-to-peer sharing opportunities, presentations and interactive demonstrations. INTERPHEX 2015 is a three-day event opening April 21 at the Javits Center in New York City. The event is sponsored by the Parenteral Drug Association (PDA) and organised by Reed Exhibitions. Click on Dec showcasing new PTS safety advances at INTERPHEX 2015 for more information.